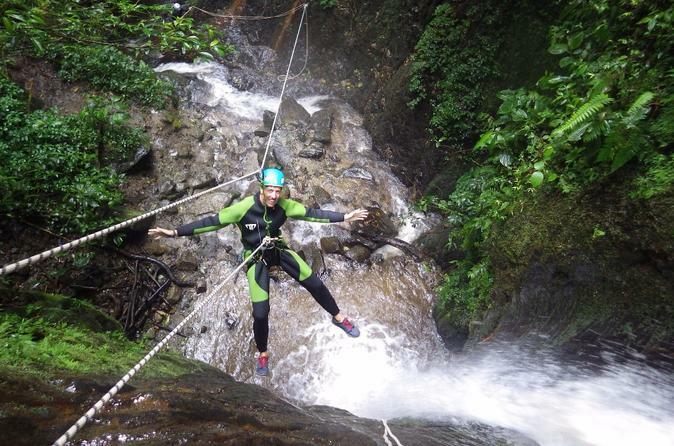 This 5-hour tour will take you on a canyoning adventure in Baños, Ecuador. It is the perfect tour for you if you are looking for an adventurous, outdoor activity set in extraordinary surroundings. You will receive a briefing session with highly qualified canyoning guides who are very experienced and well-grounded in the technical know-how. The tour follows strict safety regulations in order to guarantee the highest operational standards. Join in the fun and have a wonderful time. 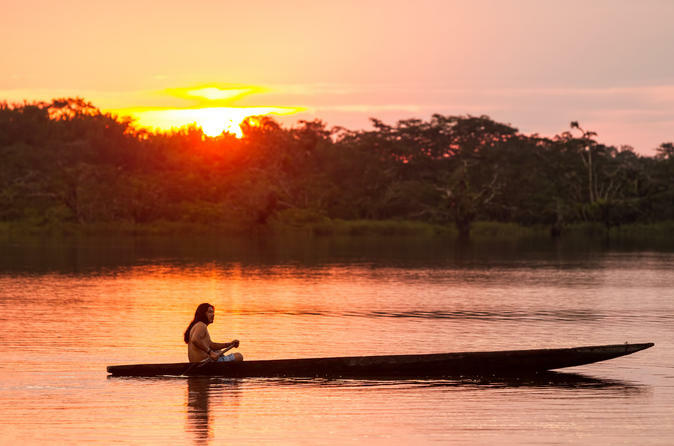 Visit the Ecuadorian Amazon jungle on a wonderful tour to Puyo from Baños. You will take this tour with professional guides, who have vast experience about the area. Some of the people guiding this tour have even spent 10 years working as naturalist guides. 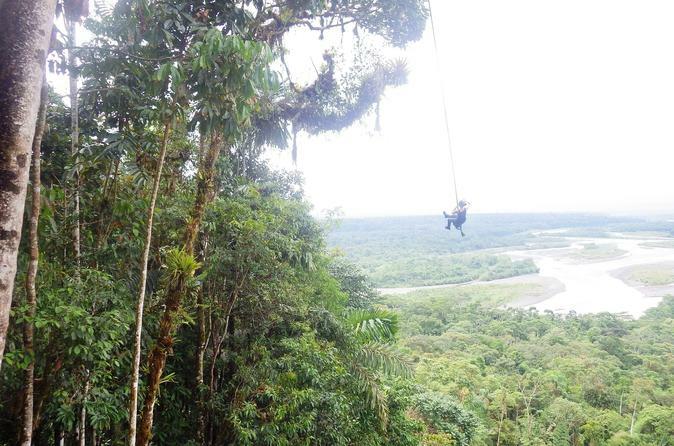 Be part of an amazing experience and discover the jungle like no other tour can show you. 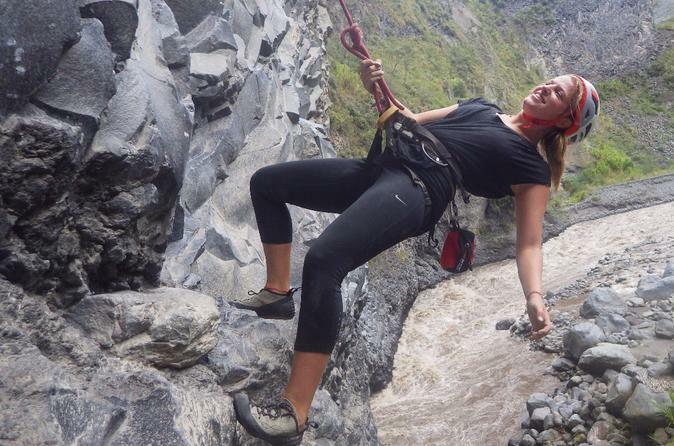 This rock climbing tour involves two different levels depending on your experience. Beginner climbs range in difficulty of 5.5 to 5.8, and use a top-rope setup within 50 feet of the ground. With this technique, you will easily be able to receive instruction and can return to the ground at any time. Intermediate climbs go from 5.7 to 5.9 in level of difficulty. Here, you will use a top-belay setup or multi-pitch techniques. Such set-ups require you to know the belaying technique and general climbing knowledge. 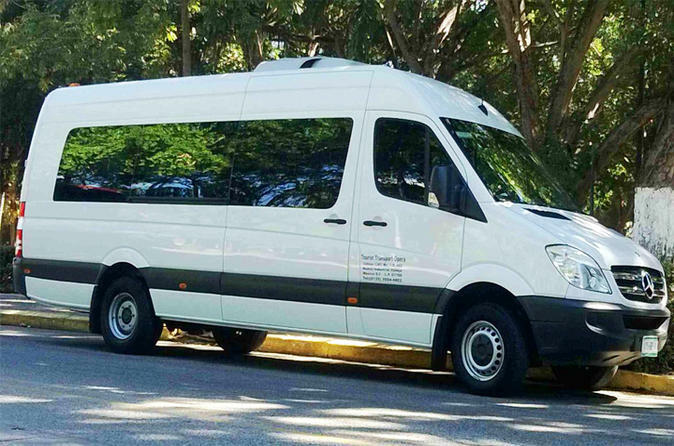 Private shuttle service from Baños to Guayaquil. Guayaquil is the biggest city in Ecuador, with excellent activities to do, gastronomy and environment. Make sure you visit it while you are in Ecuador! 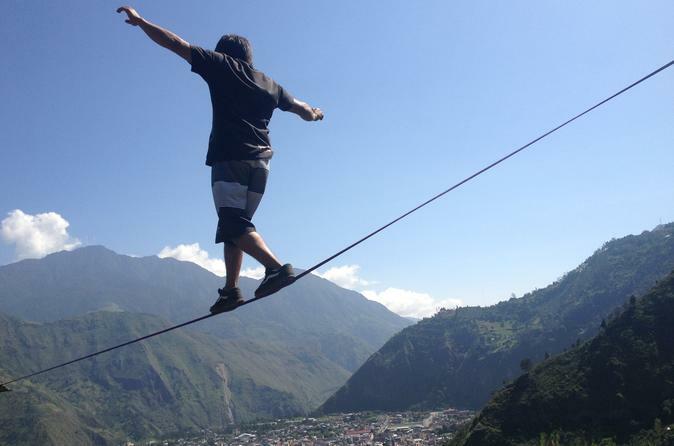 Slacklining is a new adventure sport offered exclusively by our company in Baños, Ecuador. For those who can not get enough adrenaline, join this tour where slacklining takes you above waterfalls and rivers, balanced on nothing but a slacked line of rope! Attend a one of a kind Kayaking school that is focused on teaching you in a professional manner. Learn all the techniques on how to become a expert Kayaker. Lessons are 5-hours long and lunch is provided for you. This tour departs from Lago Agrio and the lodge is located in the Cuyabeno Wild Life Reserve. The tour operates with an English, French and German speaking and certified guides. It will be our pleasure to offer you an unforgettable experience. 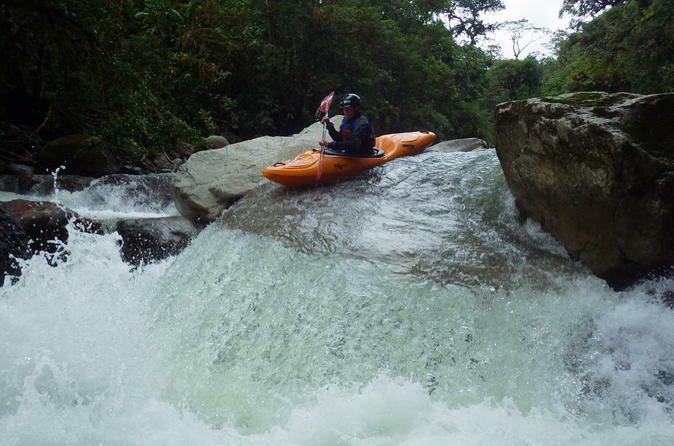 Ecuador is the perfect place to experience the best white water rafting in warm tropical rivers, clean and scenic. 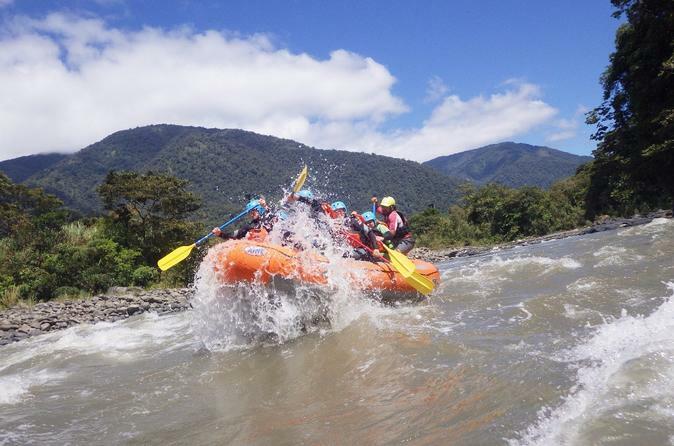 You will experience a rafting adventure on the Pastaza River in Baños, Ecuador like no one and nowhere else. It's safe and fun! 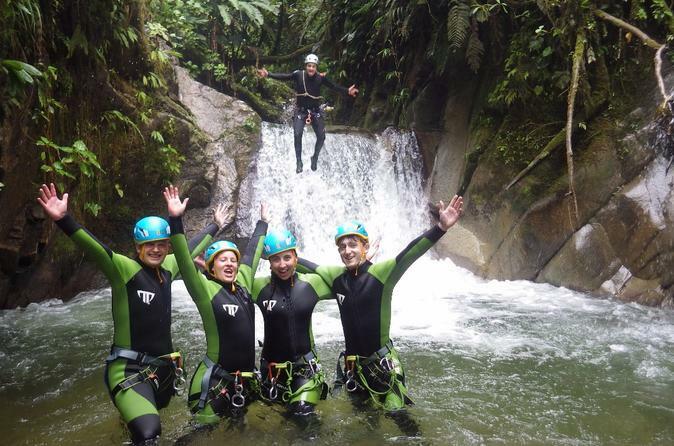 Be part of one of the most thrilling canyoning experiences (level 3.3.III) in Ecuador. This tour takes place at Casahurco, in the Llaganates National Park, located 40 minutes away from Baños de Agua Santa. It is one of the top-rated places to do canyoning. You will be accompanied by experienced, professional guides to enjoy a once-in-a-lifetime experience surrounded by nature and a fantastic atmosphere.